It might not be as popular as other places such as New York, Las Vegas or the Grand Canyon, but also the city of Seattle boasts exciting activities to do and great places to visit. Find out what are the best things to do in Seattle to enjoy the city, nature, its art and history. Photo courtesy of Good Trip, Bad Memory. Los Angeles and New York City. These are the two big cities people head to when they visit the US. But, the US is a huge country of many cities with different personalities. One of my favorites is Seattle, a laid-back city on the water, full of beautiful greenery and mountain views. Seattle is a great place to visit if you want a slower paced city full of natural beauty and amazing food. But what to do when you’re there? To make the most of your trip, here are some of my favorite things to do in Seattle! ⇒ Tip: Buy your Seattle CityPASS to save time and money on the city’s must-see attractions. Compared to the rest of the US, the bus system in Seattle is very efficient and will take you to most sights. Driving in Seattle is hard because of traffic, the hills, and the wet roads, so I would recommend using Lyft or Uber if you don’t want to take the bus. Last, if your itinerary doesn’t change neighborhoods too often, you could bike or walk around to your destinations like many locals do. There are several neighborhoods in Seattle with their own character, but I would highly recommend staying downtown if this is your first time visiting. All the typical tourist sights are within walking distance of downtown. Plus, most buses connect to downtown, so it’s easy to get out and explore some of the off the path sights as well. Everywhere! Seattle is close to the water, so the seafood is amazing- especially salmon. Ivar’s is an iconic local seafood chain in Seattle, but also check out Pike’s Place Chowder for something quick and cheaper. Brunch is a big deal, and Tilikum Cafe and Portage Bay are two of the most popular brunch restaurants. Last, Seattle is famous for being a coffee city, so any coffee shop you go to will be amazing. If you want specific food recommendations, check out this post of 100 of the best restaurants in Seattle. Now that you have some background info, let’s get to the top things to do in Seattle! ⇒ Tip: Book a food walking tour to discover Seattle’s best eateries and explore local streets. Here are some of the typical tourist activities in Seattle that you can’t miss. Pike’s Place is one of the oldest public markets in the US and one of the best things to do in Seattle. There’s fresh produce, flowers, and unique, handmade souvenirs to window shop/buy from the stands. There are a few unique stores in the market as well, from comic book/action hero stores to used bookstores to Italian food stores. I love exploring the market because it’s full of hidden, delicious food stands and because of the fact that it’s always busy with activity. ⇒ Tip: Book a Seattle City Tour to discover its must-see attractions. Want to leave your mark on Seattle before you leave? Just outside of the market, stick your used gum on the Seattle Gum Wall – literally a wall covered in already chewed gum. I don’t think anyone really knows how this started, but it’s one of the most unique/random and oddly photogenic things in the city and you can’t miss stopping by it on your trip! Built as part of the 1962 World’s Fair, the Space Needle at the time was the tallest building in Seattle- and in fact, on the west coast. You can get gorgeous panoramic views of the city from here, and there’s a restaurant at the top where you can dine with the view. I actually like coming to this area because of the park in the Space Needle- there’s always something happening in the summer, and it’s a really cute area to walk around. This small park is famous for being the vantage point of the iconic Seattle view that makes it look like the Space Needle is still the tallest building. There’s not a lot else to do in the park, but getting a shot with this view is totally worth it and one of the top things to do in Seattle. 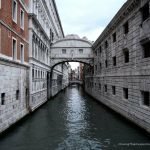 There are many museums in the city, and the best one for you depends on your interests! The Pacific Science Center has a lot of cool interactive exhibits, especially for the kids. MoPOP or the Museum of Pop Culture is an interesting museum dedicated to music, science fiction, and other forms of pop culture. There are art museums of course and quirky museums like the Seattle Pinball Museum and the Living Computers Museum. The MOHAI, or the Museum of History and Industry, is my absolute favorite museum though because it’s all about modern inventions and technologies and how they’ve shaped our world. ⇒ Tip: Pick the best carry-on luggage for your trip. Those were a few of my favorite touristy things in Seattle. But in my opinion, the best parts of Seattle are more off the beaten path (except Pike’s Place- it’s really one of my favorite places!) Here are some of my favorite local experiences in Seattle. 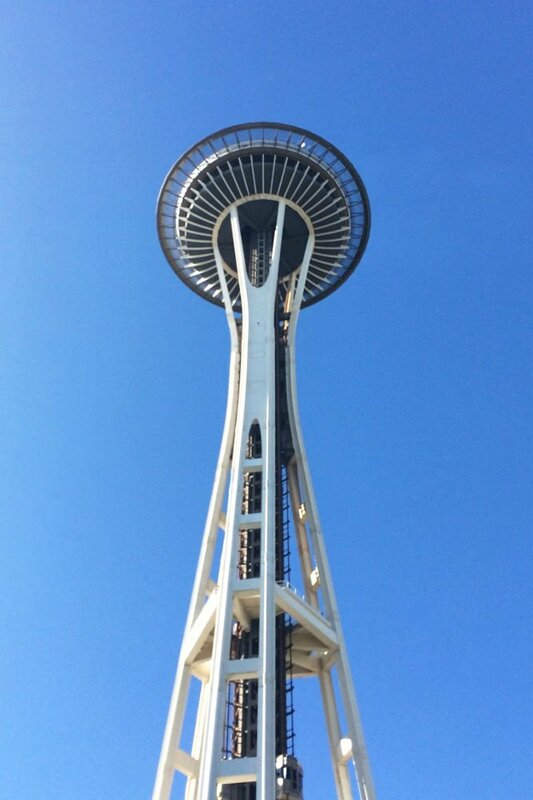 Want a slightly cheaper alternative to the views the Space Needle provides? Head to Columbia Tower, which actually goes up further than the Space Needle, so you can see more of the city! To get to the highest point on the 73rd floor, you need tickets which you can grab here. If you want an even cheaper view, grab something from the Starbucks on the 40th floor- which is technically still higher up than the Space Needle. There are a ton of local craft beers in Seattle and even more bars that serve them. 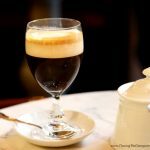 I highly recommend trying Mac and Jack’s amber ale, and if you’re interested in what other breweries exist, this site puts together the different breweries in Seattle (in a much better way than I can). ⇒ Tip: Book a tour to Old Ballard Breweries to discover and try the local beers. Still wondering what to do in Seattle? Capitol Hill, Ballard, the U-District, Fremont, Wallingford, Madison Valley- there are so many unique neighborhoods in Seattle that are fun to walk around! Each has interesting shops and tasty restaurants. My favorites are Capitol Hill, which is the LGBTQ capital and has many gay-friendly bars. I also love the U-District since it’s full of cheap but delicious eats and stores (it’s where the University of Washington/college kids are). 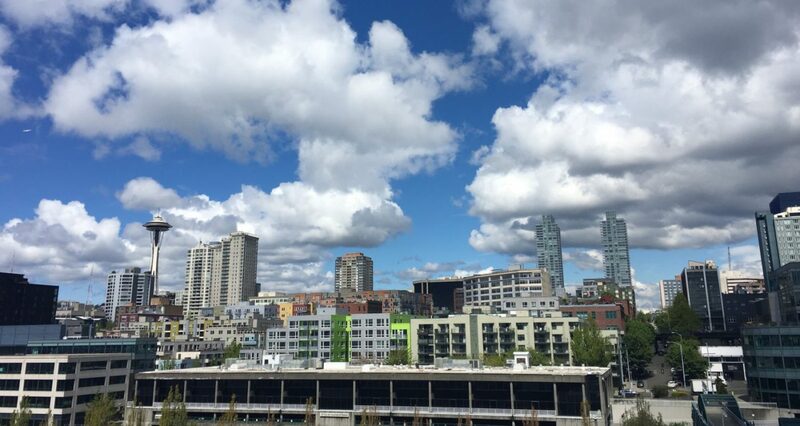 Ballard used to be a fishing village but is now a trendy, richer neighborhood, and Madison Valley is an even more upscale neighborhood that’s fun to explore. Seattle is known for amazing coffee, so you need to spend some of your trip exploring its coffee shops. The first Starbucks is in Pike’s Place but it’s always crowded, so I would instead recommend going to the Starbucks Reserve Roastery on Capitol Hill. This is a more upscale Starbucks with huge coffee roasting decorations and a lot of open space. For more smaller or more local coffee shops, check out Caffe Vita, Seattle Coffee Works, Victrola, or Stumptown. But, new shops are always opening up, so I would also recommend checking out the latest popular shops here. Seattle is home to some of the best used clothing and bookstores. They’re full of things you actually want to own and fun things to look at. One of my favorite used bookstores is Twice Sold Tales because it’s full of cats, and one of my favorite vintage clothing stores is Pretty Parlor because of the unique 50s style outfits. Also, check out Lifelong because it donates its proceeds to help AIDS victims and Crossroads if you want to buy outfits that are in season. ⇒ Extra tip: Avoid annoying airlines surcharges with a handy and cheap digital luggage scale. Marijuana is legal here and is a popular past time for most people in Seattle (even before it was officially legal). Plus, the marijuana in Seattle is pretty high quality compared to many parts of the US. If you’re not interested in trying it, the stores are interesting to visit, with Uncle Ike’s being the flashiest store. Seattle has really gorgeous parks to explore. Volunteer Park and the Arboretum are my two absolute favorites because they’re so big and also have a few gardens throughout- so there’s a ton to explore! Gasworks Park is also a really popular park and is unique because it’s built over an old gasification plant, so a lot of the machinery is still in the park. Wherever you go, feel free to bring a book or frisbee, have a picnic or just people watch as people do random yoga and trust building exercises in the park! For something still with natural beauty but a little more intense, check out the many hiking, skiing, mountain biking, etc activities in Seattle’s nearby mountains. Being in the mountains and forests in the Pacific Northwest is absolutely gorgeous. You’ll need a car to get away, but the experience is worth it! 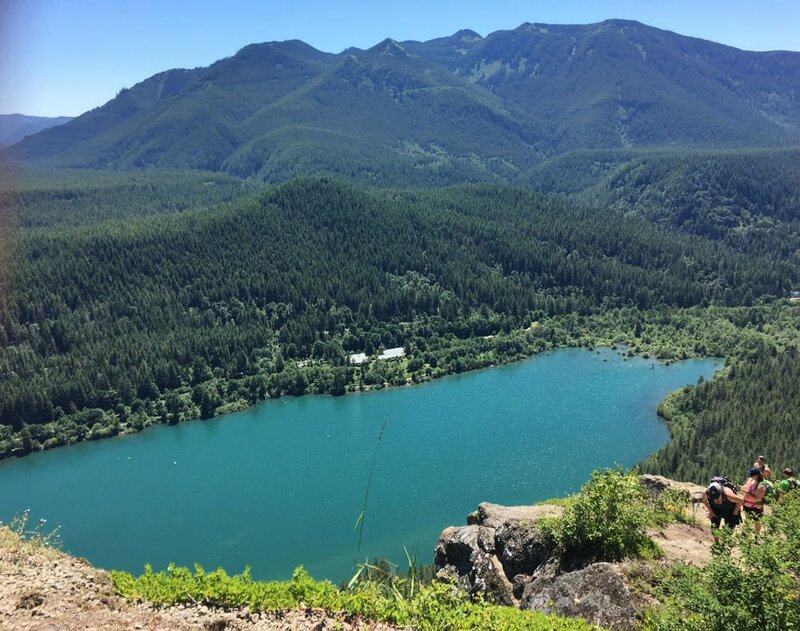 If you’re looking for easier hikes, here are a few of the most beautiful beginner hikes in Washington. Depending on when you’re visiting Seattle, here are a few can’t miss activities that either only happen or are really interesting in that season. In the winter, a popular local road trip is to Leavenworth, a small German influenced town tucked in the mountains. This is because it’s decorated for Christmas! There are also a lot of cute touristy Christmas shops you can shop in, but just being in the snow covered mountains surrounded by Christmas decorations and European style buildings is really beautiful. Once a year in the spring, in University of Washington’s quad is filled with absolutely gorgeous blooming cherry blossom trees. These were donated by a Japanese association in Washington to the school and are such a peaceful sight. Check out their twitter for the latest updates on when they bloom. Seattle has three big lakes- Lake Union, Lake Washington, and Greenlake, and all are full of paddleboarding and kayaking opportunities. If you want to get a bit more active on your trip, try renting some of these out – especially during the summer when the weather is warmer and the sun is out. If you’re scared of the water, hanging out in the parks around these lakes is also a fun summer activity. ⇒ Tip: Book a Locks Cruise to experience the transition from salt to fresh water in Seattle. Disclaimer: This beach won’t have warm translucent water or white sand since it’s so far up north. But Alki Beach is a super cute area to explore, with its own boardwalk that you can walk down and tons of bars that you can people watch and day drink from. On a clear day, you can see the city skyline against the beach too. If you want something more intensive, there are also snorkeling and scuba diving activities in the coves. This is technically outside of Seattle but it’s a popular day getaway and if you’re here in April, you can’t miss these! Every year, these colorful, widespread tulip fields bloom and you can walk or drive throughout the fields. For the most up to date information, including prices, check out their official website. 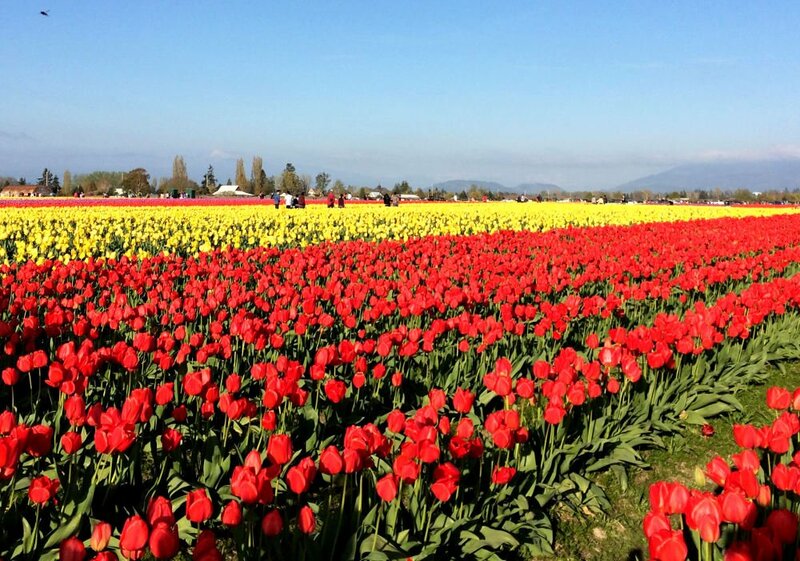 ⇒ Tip: Book a day trip to the annual Skagit Valley Tulip Festival. Bio: Angelica is an ex-Seattlite and current travel and food blogger. When she’s not on her blog, Things to do & eat, she’s probably traveling to new places and trying their food or getting lost in their nature.